to present hard-to-get, ignored and suppressed information on the subjects of health, science, the unexplained, world events and history. Our goal is the day when all people of all races and colours can live together in total trust and respect, on a planet that is clean, abundant and healthy. There is a bitter war going on, and it’s not over Trumpcare or immigration: It is about vaccines. Mainstream media and medical groups, typically funded or backed by Big Pharma, cast parents who are skeptical about vaccines as conspiracy theorists whose backward beliefs put the public at risk. An example of the pathetic mainstream reporting on Gardasil and HPV vaccines can be seen in a recent article by The Guardian. Science editor Robin McKie reports that health officials are worried because Japan, Ireland and Denmark are now witnessing a fall in the uptake of the HPV vaccines and they fear that more nations will follow this example. Last week doctors gathered in Dublin to discuss what they could do to turn this around. Professor Margaret Stanley of Cambridge University stated that “Whenever a new vaccine is introduced, there is always a group of people who say it is unsafe,” adding that …”the HPV vaccine seems to raise extraordinary levels of hostility.” She cites as possible reasons the huge part that social media is playing (just as well) and suggests that the reactions to the vaccine are heightened because the recipients are young and ‘highly emotional’. Never mind that the vaccine is resulting in a higher number of adverse events than any other vaccine. This is not mentioned. Over history women have been denied the legitimacy of their illnesses. 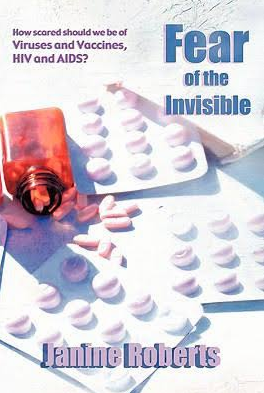 More recently in March 2014 after 700 Columbian women were admitted to the hospital suffering new medical conditions after the administration of Gardasil, the National Ministry of Health referred to this as a case of mass hysteria and even suggested that the illnesses were a result of illicit drug use or overuse of the ouija board. Such abuse is becoming all too common for in August 2017 the Irish Health Service labelled HPV vaccine injured Irish girls “emotional terrorists”. It is high time the mainstream media report on the tragedy that has thousands of girls and now boys remaining extremely unwell after having been vaccinated for a disease they were unlikely to ever develop. 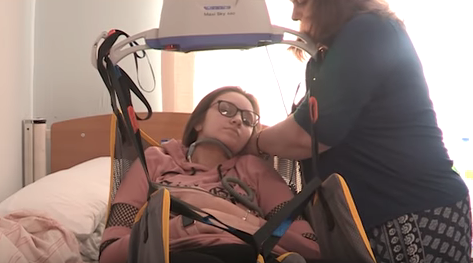 It is more than time for the mainstream media to relate the stories of our vaccine injured teenagers. It is time that the public is informed there is no scientific evidence that Gardasil has ever presented a single case of cervical cancer. 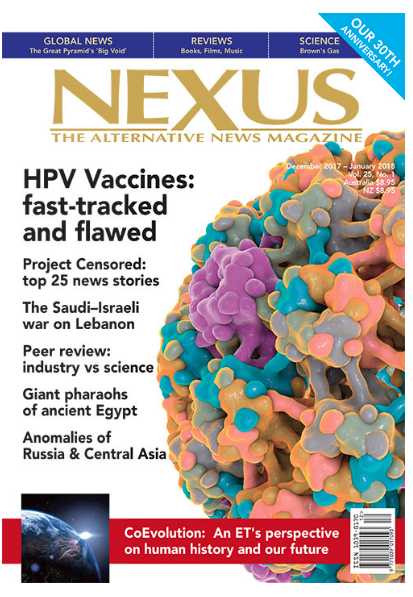 Thankfully our alternative media such as Nexus is not afraid of the Gardasil story. It informs that these HPV vaccines were poorly tested, that they contain unsafe additives and are associated with thousands of adverse events. 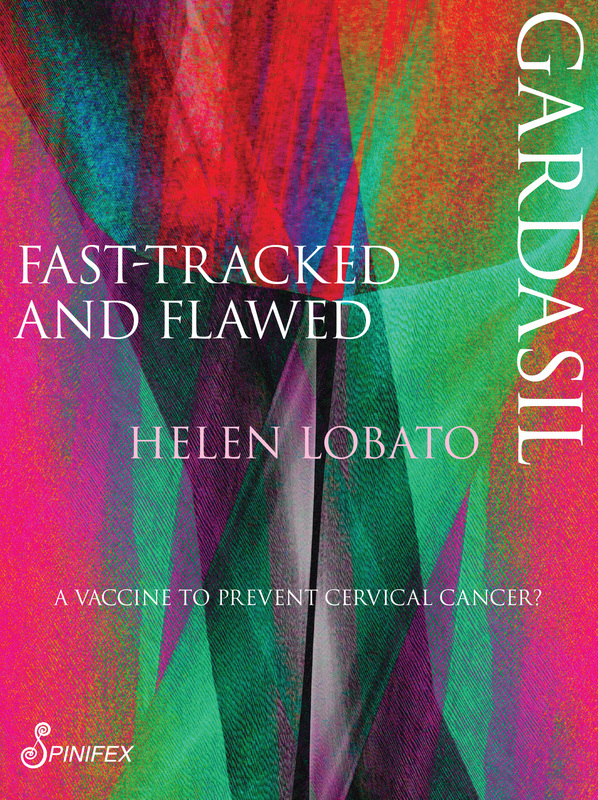 The extract taken from Gardasil: Fast-Tracked and Flawed includes a discussion on cervical cancer and its causes and how the HPV vaccines were fast-tracked through the FDA. Nexus is available by subscription, through newsagents and online. Why are we replacing the successful Pap smear program with an HPV test when we don’t know if HPV is the cause of cervical cancer? Joan Shenton, is a British broadcaster and producer of Sacrificial Virgins: Not for the greater good. In Part One of the series, Shenton interviews molecular biologist Professor Peter Duesberg who is also the author of What if HPV does NOT cause cervical cancer? and asks him whether there is a causal relationship between the human papilloma virus and and cervical cancer. “Absolutely not”, he replied, adding that if HPV is there at all then it is what is known as a passenger virus. “It does nothing…these are fossils of HPV which are still in some cells. They are from an infection decades prior to the cancer.” This is damning and we must ask what on earth we are doing vaccinating girls and boys all over the world with a vaccine protective against a harmless wart virus. But the vaccine is not harmless. On the contrary there are more adverse events following its administration than for all other vaccines. From the 1960s to 1991, cervical cancer screening was available to women in Australia on an opportunistic basis in that the test was done on the request of the doctor or the woman herself. Then, in 1991, an organised program was set up which in 1995 became the National Cervical Screening Program. Since the Australian National Cervical Screening Program began in 1991, the number of deaths from the disease have halved (Cancer Council Australia, 2017). In December 2017 the successful two-yearly pap tests for women aged between 18 and 69 will be replaced by a five-yearly HPV test for 25 to 74-year-olds. An ABC online article explains that HPV screening looks for DNA from the human papillomavirus virus strains that cause the vast majority of cervical cancers. (Or so they say). The mainstream media was all over this new test yesterday. Why? Because according to Karen Canfell, director of the Cancer Research Division at the Cancer Council NSW, HPV screening for cervical cancer had been extensively studied and modelled, and shown to be better than Pap smears and liquid-based cytology. And the end of the year when this new program commences is fast approaching. It is time for promotion. And the media follows suite. They do not ask how these changes might adversely affect women or some women. They do not ask if there might be a problem with over treatment. I suggest that these changes to the national cervical screening program are highly problematic. Firstly because the test is predicated on the basis that HPV causes cervical cancer. But we do not know that. We are told that cervical cancer is caused by HPV but even if the common human papilloma virus is found in tumour cells it may just be a harmless passenger. The real causes of cervical cancer are most likely socioeconomic and environmental factors such as poverty, nutritional deficiences, smoking, multiparity, prolonged contraceptive use and ageing. This test is for HPV not for cervical cancer. HPV is a very common virus so much so that most of us have had this at some stage in our lives. HPV is likely to be found in cervical cells but as Professor Duesberg has explained if the virus is detected it is a fossil, left over from earlier infection. Pap smear testing has often been seen as excessive and resulting in cases of over-screening and treatment but this new test amounts to much more of the same. If the HPV test finds that a woman has HPV type 16 or 18, she will be given a colposcopy to look for any pre-cancerous cervical lesions. And if the HPV test finds any of the other high risk strains of HPV, then a Pap test will be ordered to ascertain if a colposcopy is required (Sifferlin, 2014). All of this of course will result in more colposcopies, and a lot of unnecessary worry for women who return a positive HPV test. And a great business opportunity for those in the sickness industry. This includes the vaccine industry – for this is sure to mean more women lining up for HPV vaccines and more adverse events resulting in more sick girls and boys who then need expensive medical care if they are to recover their former health. This policy is disastrous as is the HPV vaccination program which vaccinates teenagers all over the world with a vaccine that at best is preventative against a few strains of the human papilloma virus but does not protect them against cancer. How could it – it is a vaccine against a wart virus, that is all. With these changes to the screening program there is particular concern for women who test negative for HPV but who have cervical cancer. HPV-negative tumours are present in many types of cervical cancers. Zhao MD and his colleagues report that large-scale studies reveal the existence of HPV-negative cervical cancers present in almost all types of cervical cancers (Zhao MD et al., 2014). According to Bosch et al. (2002), there has been little investigation of older women with cervical cancer, but it is likely that the HPV-negative cancers can be found in this group of women.These HPV-negative women will not have their disease found as early as they would have with a routine Pap smear. There has been little investigation of older women with cervical cancer but it is likely that the HPV negative cancers can be found in this group of women. With the arrival of videos such as Sacrificial Virgins: Not for the greater good and books such as Gardasil: Fast-Tracked and Flawed the HPV causes cervical cancer is being exposed as the shocking sham it is. The vaccination program needs to stop until there is proof that HPV causes cancer and so far there is none. And the mainstream media need to up their game. After all this is what they are being paid for. Re: ‘New, improved Gardasil 9 fights 90% of cervical cancers, beats genital warts too’ (The Age, September 6, 2017). “A new version of the Gardasil vaccine has been developed and, according to Professor Suzanne Garland, ‘the eradication of cervical cancer is now firmly within our sights.’ Garland is the lead Australian author of a global trial published in The Lancet and funded by the drug’s manufacturer Merck which came to the conclusion that the new HPV vaccine Gardasil 9 could prevent 90 per cent of cervical cancers worldwide. However, parents of teenage children need facts not empty promises. We do not know if Gardasil 9 or its predecessor Gardasil can prevent cervical cancer. To date Gardasil has not been shown to prevent a single case of cervical cancer. Human Papilloma Virus (HPV) vaccines have never been tested against cervical cancer outcomes. It can take decades from HPV infection to the development of cancer so researchers used a surrogate endpoint to support the conclusion that HPV vaccines might be preventative. The suitable surrogate end-point chosen was cervical intra-epithelial neoplasia (CIN) grade 2/3 lesions, and adenocarcinoma in situ. This end-point was decided even though these precursor lesions are common in young women under 25 years and rarely progress to cancer. In sum, very few of these CIN 2 and 3 lesions in young women develop into cancer so it is difficult to support their use as end-points or markers. Wording is important. The Pharmaceutical Benefits Advisory Committee (PBAC) lists Gardasil 9 as a vaccine for the prevention of HPV. It may well be that these vaccines do prevent HPV but the question is whether they will ever prevent a single case of cervical cancer, a very slow-growing cancer easily detected during Pap smear testing with the five year survival rate for women diagnosed being 72%. There is no epidemic of cervical cancer in Australia. In 2014, there were 223 Australian deaths due to the disease. What this means is that all over the world millions of girls and now boys are injected with a vaccine which has only been measured against a surrogate endpoint — precursor lesions — that most often do not lead to cervical cancer. While the efficacy of the vaccines is unknown what we do know is that according to Vigibase, the World Health Organisation’s database, there are now over 73,000 recorded adverse events after HPV vaccination. There have also been at least 324 deaths following Gardasil. The Pharmaceutical Benefits Advisory Committee (PBAC) has recommended that Gardasil 9 be listed on the Australian National Immunisation Program as a 2 dose schedule replacing the current 3 dose Gardasil vaccine. Parents who are considering whether HPV vaccines are right for their children need to be informed that the new vaccine Gardasil 9 contains more than twice the amount of aluminium, a neurotoxin, used as an adjuvant to stimulate the production of antibodies, than the current vaccine. Gardasil 9 also contains more antigens (the HPV LI proteins) with the total number increasing from 120 mcgs to 270 mcgs. How will additional antigens and more aluminium affect the health of these young people who are now told they need this new vaccine? Parents need to know the facts in order to make an informed choice whether Gardasil or Gardasil 9 is right for their child.